EarHustle411's You Be The Judge!! Is Quality Customer Service A "Lost" Concept!! EarHustle411’s You Be The Judge!! Is Quality Customer Service A “Lost” Concept!! EarHustle411 is always keeping our ears to the streets and on this episode of EarHustle411’s You Be The Judge is the case of poor customer service at a restaurant. 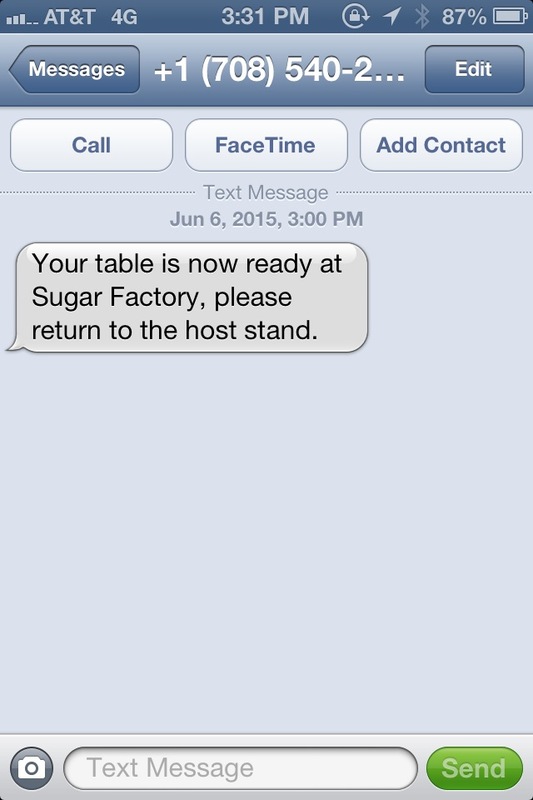 A woman named Jasmine had plans to meet a friend at the Sugar Factory for a meal. Apparently this establishment accepts reservations ahead of the general walk-in customers and there’s absolutely nothing out of the ordinary with that. Jasmine Sloan informs EarHustle411 that her reservation was scheduled for 2pm. Jasmine shows up on time but her friend was going to be a little late. Jasmine checked in and informed the front desk that she will wait for the arrival of her friend. That’s not uncommon either, it happens all the time. The friend arrives and they are told their reservation is cancelled. Jasmine and her friend took responsibility for their tardiness and were fine with waiting for regular seating and they were seated in corner of the restaurant, which didn’t set too well with Jasmine. 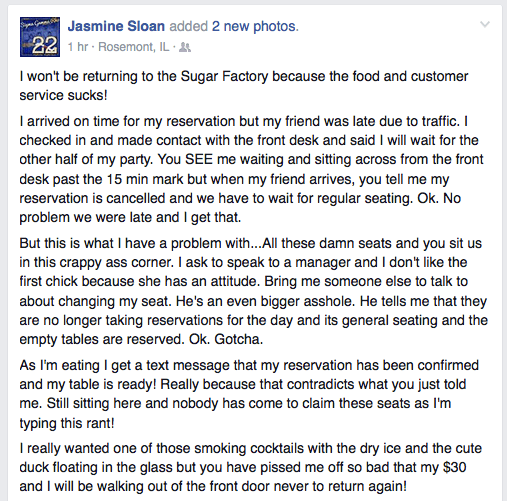 This is where things get ugly…EarHustle411 captured a screenshot of Jasmine’s post on Facebook about her experience. 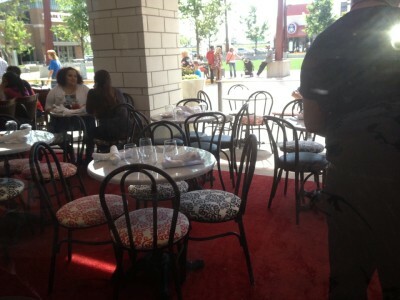 EarHustle411 and the writing staff go out to eat and patronize establishments all the time and we’ve never been refused to be accommodated when we asked for some changes whether it’s seating changes, the meal isn’t quite right or what have you. Attitude and behavior plays a major part in how service is going to be interpreted, whether great, good, fair or poor. EarHustle411 wants you to be the judge and weigh in on the situation. Feel free to share your experiences with either great customer service or less than stellar customer service. Shaquille O’Neal’s A BIG Tipper And He’s Proud Of It!! You Be The Judge: Illinois Man Arrested For Burning American Flag, Is This Justifiable?